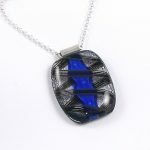 This fused glass pendant features the classic combination of blue and black, expertly crafted using dichroic glass. 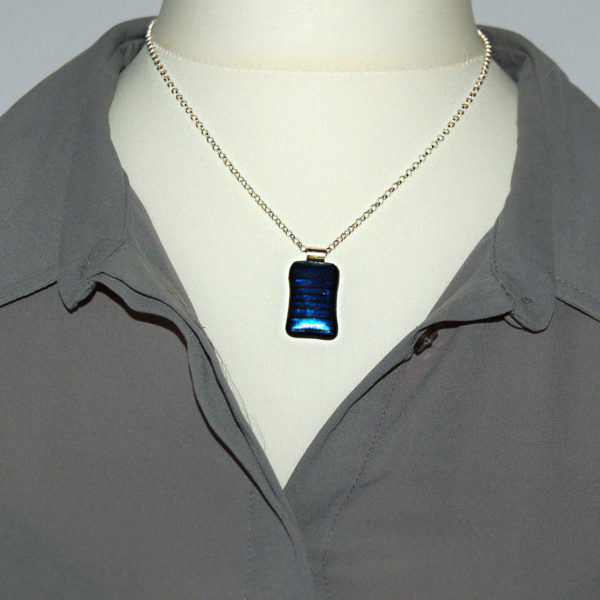 This blue and black glass pendant measures 5/8 x 1 2/8 inches (1.5 x 3 cm) including the bail. 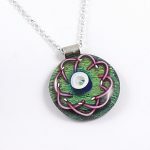 Each of these black glass necklaces is suspended from a sterling silver bail, as we believe the bail should last as long as your pendant. 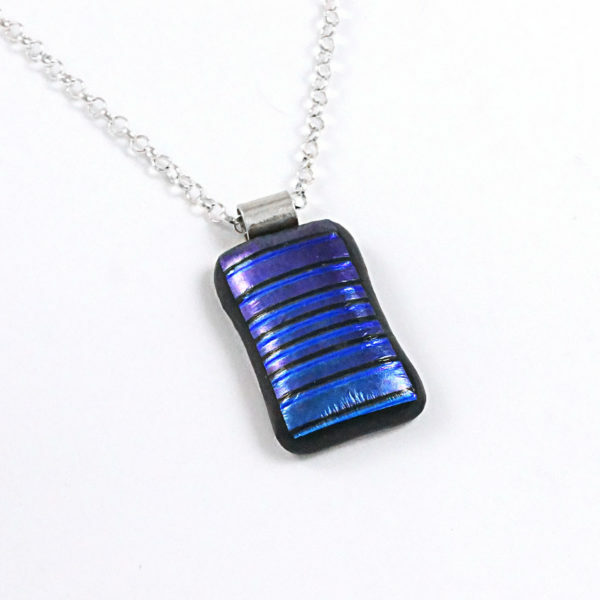 We include a silver plated chain as standard. 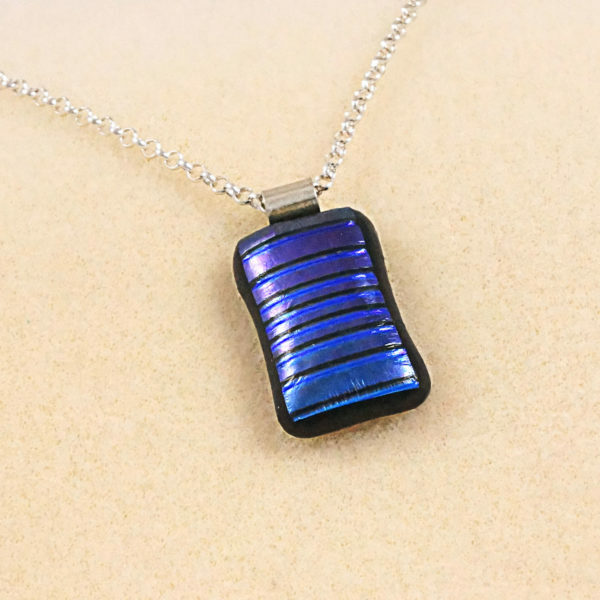 Your pendant and chain will arrive in a gift box ready to wear. 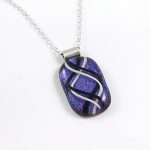 Each of our fused glass pendants is handcrafted in the UK and no two pieces will be exactly alike. 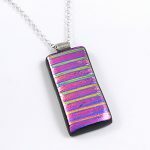 Each glass pendant undergoes an intense firing and annealing process that ensures the glass is expertly fused, solid, and intact.